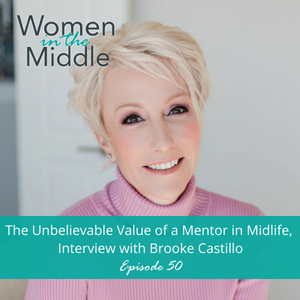 Why Brooke Castillo is one of the most important mentors in my midlife. Why it’s so important for you to have a midlife mentor. 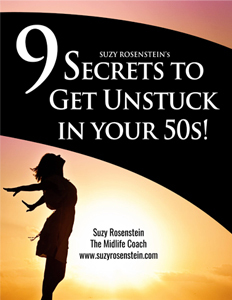 Why it’s critical to evolve and grow in midlife. Why it’s not always important to actually know your mentors personally. How a mentor can really help you get out of your comfort zone. Why offering yourself up as a mentor can be incredibly fulfilling in midlife. How I borrowed my mentor’s confidence in me. How you just don’t always know where you mentor is going to come from. Why as a mentor, it’s important to share without expectation that anyone will take action. Welcome to another episode of the Women in the Middle podcast! Welcome to the 50th episode of Women in the Middle Podcast! Today’s episode of Women in the Middle kicks off a miniseries developed in honour of the one year anniversary of the podcast about why mentors rock in midlife. Specifically, we’ll be talking about the unbelievable value of a midlife mentor, why you NEED a mentor in midlife and also why it’s amazing to BE a mentor in midlife. I couldn’t think of a better person to help launch this mini-series than one of the most significant mentors in my life, Brooke Castillo. Brooke is a Master Certified Life & Weight Loss Coach, Founder, Curriculum Creator and Instructor for The Life Coach School and Director of Self-Coaching Scholars. She’s also the author of several books, including If I’m So Smart, Why Can’t I Lose Weight and Self Coaching 101. Many of you might also be familiar with her extremely popular podcast, The Life Coach School Podcast. Brooke has an amazing sense of humor and is extremely gifted as a coach and educator. She’s one of the most creative and highly productive people I’ve ever met in my life and I’m absolutely thrilled to have had an opportunity to talk to her about what her mentorship has meant to me over the past few years. The funny thing about mentors is that sometimes you don’t even know that you need them…or, for that matter, where to find them. That’s exactly what happened with me when I found Brooke. Brooke shares who some of her important mentors have been as well and the important lessons she learned from them. A mentor can change your life in ways that are hard to know in advance. Sometimes you learn skills from them; sometimes you are gently guided out of your comfort zone so you can continue to grow and evolve. One of the most interesting things about mentorship is that it’s unbelievably rewarding. Being a mentor and finding a mentor and be life changing for sure. Don’t miss an episode, subscribe via iTunes, Stitcher , Spotify or RSS and all the places you listen to your favorite podcasts, including Spotify.